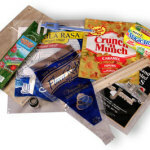 Custom Flexible Packaging, Contract Packaging, and Co-Packaging Solutions! As a nationally recognized rigid and flexible packaging company, Maco Pkg is excited to accept your project and make it our own. Our custom-made packaging options fulfill a wide variety of purposes and industries. We gladly accept any challenge you can introduce to us. Explain your mission and we provide solutions. Maco PKG, an ISO 9001:2008, SQF 2000 Level 3 certified facility, manufactures heat sealable pouches and custom package bags, along with contract packaging services. We buy roll stock, which includes Military Spec films, metal film, linear low density polyethylene (LLDPE), high density polyethylene (HDPE), nylon/LLDPE blends and polyester/LLDPE blends. We convert roll stock into pouches, film bags, standup pouches, side gusset bags, sheets, roll stock flexible packaging, and speciality items. 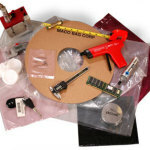 Maco PKG pouches and bags, custom made, can be die cut and sealed. 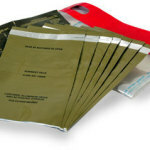 Our pouches incorporate vacuum, water vapor, odor and debris barriers, as well as zipper closures. 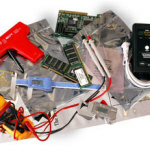 Maco PKG supplies a full range of ESD and static shielded bags for the electronics industry and US Military. In addition, we offer a variety of laminations, including film to-foil, paper-to-foil and film-to-film. Metalized film, adhesive and extrusion laminations, and organic packaging solutions are also available. Maco Pkg now offers RecycleReady Technology, an innovative packaging concept created by The Dow Chemical Company. This unique packaging option combines the traditional benefits of flexible packaging with the additional value of sustainability. Manufactured with only recycle ready materials, this packaging technology is qualified to enter the packaging stream immediately after time of use. To dispose of the packaging, end-users can use pre-existing PE recycle drop-offs found at grocery stores and home improvement centers. Our custom 3D bags have five sides and can line containers or cover equipment during shipping. 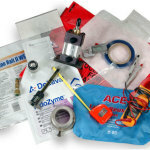 We use release coated films when we manufacture these bags, which suits them to package adhesives. 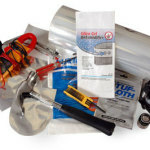 Maco PKG creates heavy duty packaging, including leak-proof seals, duplex double-wall bags, inline die-shape sealing and cutting, heavy-gauge side seals, and tape closures. With a history of professional experience, we serve many industries such as pharmaceutical, photographic, dental, medical, automotive, military, electronics, retail, and food. Contact us for a consultation with our experienced packaging experts! Expedite the packaging process by reviewing this questionnaire, FAQ, and abbreviation chart before your consultation to better understand packaging protocol. We’d love to learn everything there is to know about your product.